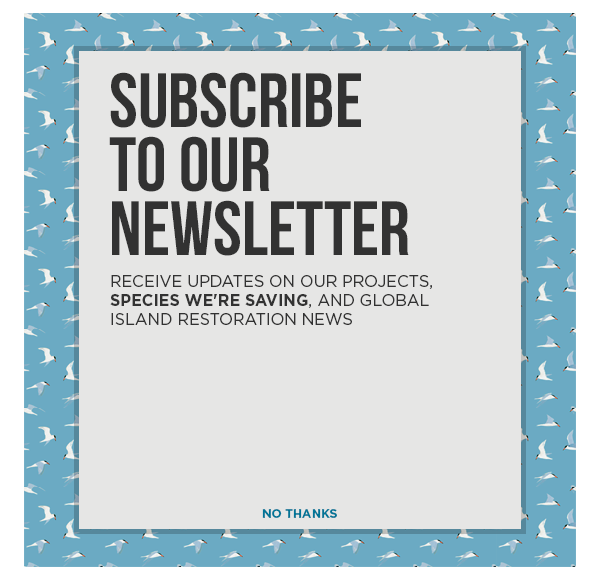 WIRED features GBIRd and Island Conservation Project Director Karl Campbell in an article about the potential for gene drives to help prevent extinctions of island species. The experiment has been running for just a few years, but already the bettongs that have to deal with cats are noticeably more wary. On a starry September night, I went out with the three scientists behind this project: Moseby; Mike Letnic, of the University of New South Wales in Sydney; and Daniel Blumstein, of UCLA. We drove in a Toyota HiLux, and Letnic pointed a bright hand-held spotlight out the window. In the 10-square-mile area with the cats, boodies scampered out of the way of the dusty pickup, their butts like furry bouncing balls. Letnic seemed worried that there were too many cats; the eyes of the feral felines shone in the spotlight, and the night seemed full of them. One agile tabby leaped over a saltbush, disappearing behind a dune. If too many cats reproduce in the enclosure, all the native species will be killed. If t As we passed into the smaller cat-free zone, the boodies seemed noticeably more dim-witted. Several times the truck was forced to stop while someone got out and tried to herd them out of our way. Letnic ran at a couple who gazed at him with mild interest. As he approached, they began running companionably along with him, the man and marsupials looking like three friends out for a jog. In the end, Letnic had to nudge them off the road with the side of his foot. Outside the fence, they would be cat snacks by now.